WITTENBERG, Germany/GENEVA, 2 September 2015 – Many of the LWF member-church representatives at the ongoing young reformers’ workshop in Wittenberg will be going back home with greater awareness and inspiration for climate justice advocacy. 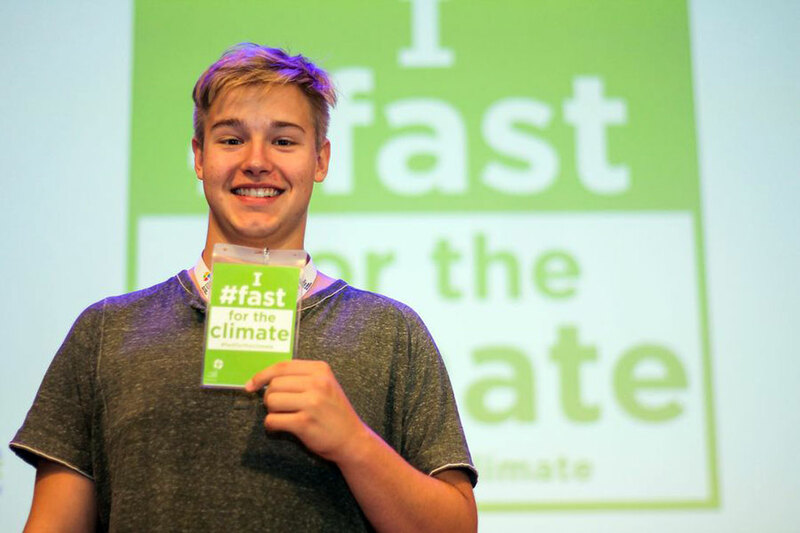 During a 1 September Fast for the Climate prayer service in the Wittenberg Catholic Church, the young reformers reflected again on climate change, a major topic of the 23 August to 4 September international workshop. Jeff Buhse thanked those who had responded to LWF’s invitation to join the once-a-month action of fasting in solidarity with the poor and marginalized, who are the most adversely affected by climate change. “What is most important in fasting is to use this time for some reflection and self-thought; to really think about what you can do differently in your life for the benefit of others,” said Buhse, a member of the LWF working group on climate justice. 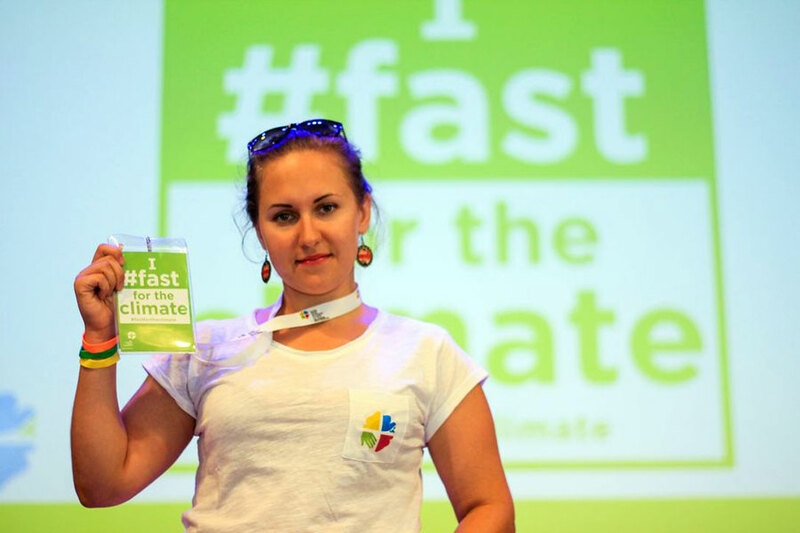 Here’s what inspired young reformers from Canada, Indonesia, Russia and South Africa to join the Fast for the Climate campaign, as they count down to the December United Nations climate change conference in Paris, France. Jacob Rempel says he will show solidarity with victims of the global climate change crisis by trying to connect “the links in the entire chain” in Canada. I really felt inspired by the workshop. I know the world is changing through the climate and we need to take action. Though fasting may be a small way when it is one person, we can all work together in a larger movement, because it is not just the links of the chain that count, it is the entire chain. When I get back home, working towards more green actions can include not having all the lights on during worship and possibly using candles instead, or relying more on sunshine for lighting. I’ll also encourage more outdoor activities instead of movie nights as a way of reducing our carbon footprint. 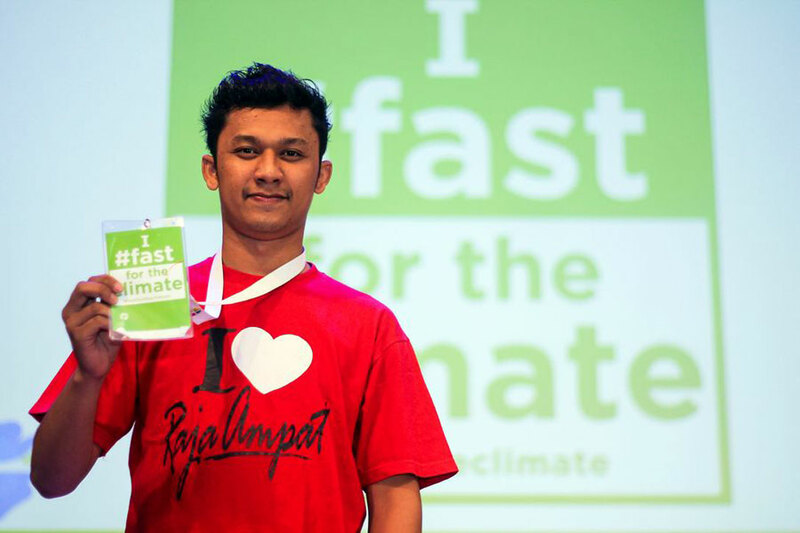 Indonesian young reformer Pimpinan Sijabat explains his idea of “football for climate justice”. 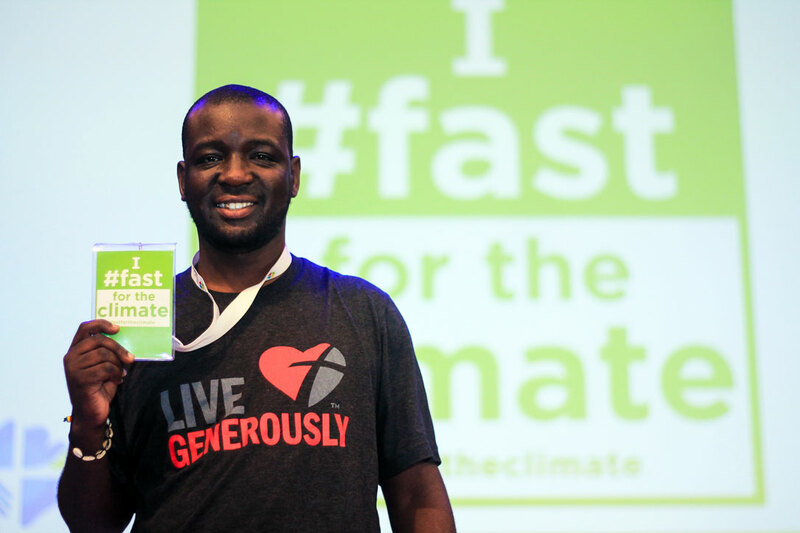 This workshop has really inspired me; that’s why I decided to join the Fast for the Climate campaign. At the Wittenberg workshop, I have learnt a lot from all over the world about the situation of people affected by climate change. When I go back home, I can do more to raise this awareness and show solidarity with those suffering. How will I do this? In my country, football is very popular. Through youth football clubs, we can talk about climate change and introduce practical projects like tree planting, collecting litter and recycling waste. The first challenge is to get youth together; because if we just say, “Hi there, come for tree planting,’ without a fun activity, no youth will join. I’ll invite not only youth from Indonesian Lutheran churches but other churches and faith communities too. Vera Tkach, youth director of the Evangelical Lutheran Church, in Russia promised greater advocacy and prayers. The Wittenberg workshop really inspired me. I learned that as Christians, we are responsible for taking care of our neighbors, our surroundings and nature. We also need to pray for and support those who suffer due to climate change. Although they live in other countries far from us, they are our neighbors: our brothers and sisters in Christ. I’m already active in climate advocacy by signing petitions on environmental protection in the eastern part of Russia, and I will continue to do that. In my town, Smolensk, I’ll continue with campaigns for tree planting, cleaning river banks and restoring Lutheran historical sites. I hope we can involve youth in planting a Reformation tree in Moscow to match the one the bishop planted at the Luther Garden in Wittenberg. South African youth ministry volunteer coordinator Cedric Kgwatlhe hopes to convince his Pretoria congregation to adopt a bicycle Sunday. I did not know much about climate justice before coming to Wittenberg. This workshop has been a great inspiration. I joined in the first-of-the-month fast as a way of advocacy, awareness raising and solidarity for people affected by the global climate crisis. When I get back home, I plan to begin a few projects, starting small so that I can get support from other people. The first step will be to gather a group of young people and educate them more about climate change and climate injustices. I have realized that I use my car a lot, even when not necessary. With support from my friends, I’ll introduce a car-free day or car-free Sunday, whereby we would use bicycles instead of motorcars or motorcycles. I’ll need to engage the city authorities and non-profit organizations to donate the bicycles. I’m convinced we will get the support we need as some of our congregants work with these organizations. It’s a small but meaningful contribution to lowering fuel consumption.